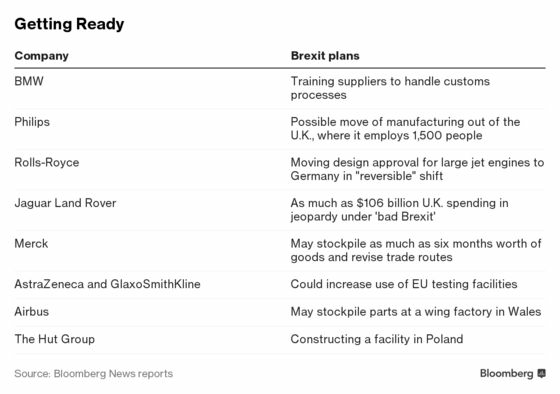 (Bloomberg) -- Follow @Brexit on Twitter, join our Facebook group and sign up to our daily Brexit Bulletin. Just as Prime Minister Theresa May softened her plan for leaving the European Union -- a move that companies welcomed -- the resignation of the U.K.’s top Brexit officials and foreign secretary creates new uncertainty for business. 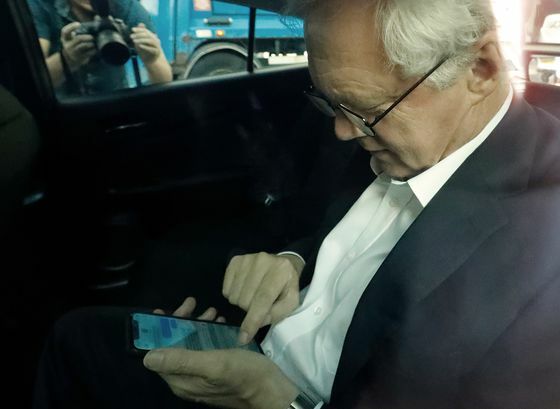 Carolyn Fairbairn, the director-general of the Confederation of British Industry, called the weekend resignations of Brexit Secretary David Davis and his deputy, Steve Baker, a “blow” on Monday morning. On Monday afternoon, Foreign Secretary Boris Johnson also resigned. The departures come just days after May said she had secured cabinet backing for a plan to keep close ties to the European Union. The resignations increase the chances she’ll face a leadership challenge over her Brexit policy. May on Monday named Dominic Raab, a housing minister and Brexit backer, to replace Davis as Brexit secretary. Johnson’s replacement is yet to be announced. While business has favored greater alignment with the EU, the departures could destabilize May’s government, creating new turmoil for companies trying to figure out how to deal with Brexit. Before May announced the cabinet agreement, companies ranging from Airbus SE to Jaguar Land Rover to BMW AG warned of the consequences of leaving the EU with no deal or one that’s unfriendly to global businesses. Dutch health-technology company Royal Philips NV also said over the weekend that it may move manufacturing out of the U.K., where it employs 1,500 people, in the event of a hard Brexit. Though the resignations could give May the chance to install a Brexit team that’s more attuned to business concerns, the prospect of challenges to her leadership adds a degree of uncertainty that makes it hard for companies to plan investments. But for a lot of businesses, the departures will be seen purely as personnel changes, according to William Bain, a British Retail Consortium policy adviser and former lawmaker. What companies are focused on now is the white paper that will be published Thursday. In a sign of the fallout, investment from abroad in Britain’s financial-services firms fell 26 percent last year, EY said in a report released Monday. During the same period, Germany experienced a 64 percent increase, while the figure for France more than doubled. The pound was trading down 0.1 percent at $1.3274 shortly after Johnson’s resignation was announced. Even for those businesses that welcomed the direction the government set out Friday, uncertainty remains over whether the EU will go along with it.